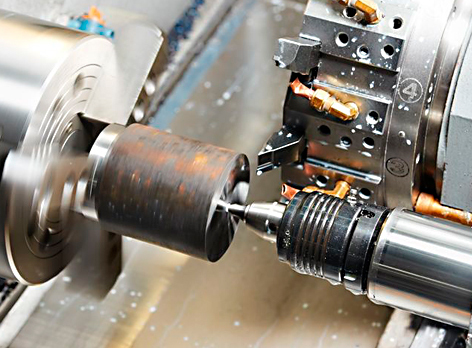 Machining is performed in our plant with the use of modern devices operated by experienced professionals with years of experience. Our machinery park consists of machine tools, measuring tools and instrumentation allowing to perform the whole technological process, even for complex parts. With turning, milling, drilling, grinding and locksmith services, we are able to obtain a variety of shapes and profiles. cutting (we have CNC band saw machines). © Copyright 2019 Galmex Wszelkie prawa zastrzeżone, kopiowanie zdjęć lub treści bez zezwolenia zabronione.